My daughter ran into a soccer mom yesterday, someone neither she nor I have seen since the school season ended back in February. “How’s your mom?” asked the woman. “She cut off all her hair,” responded my daughter. I wish I could have seen the expression on the woman’s face when she heard this. If I had heard someone had cut off all her hair, I’d think she went a little nuts. 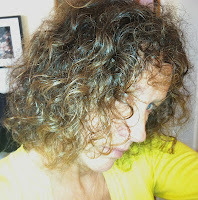 Last May I succumbed to my first hair process ever. I had it straightened. And for about five minutes I had the silky straight, flowing follicles of a regular Breck girl. 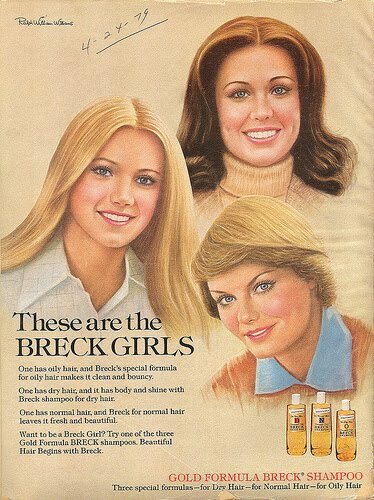 (Don’t know what a Breck girl is? Ask your mother). Unfortunately, during a regular Wisconsin summer filled with lake water and humidity, it wasn’t long before my hair was back in corkscrews. 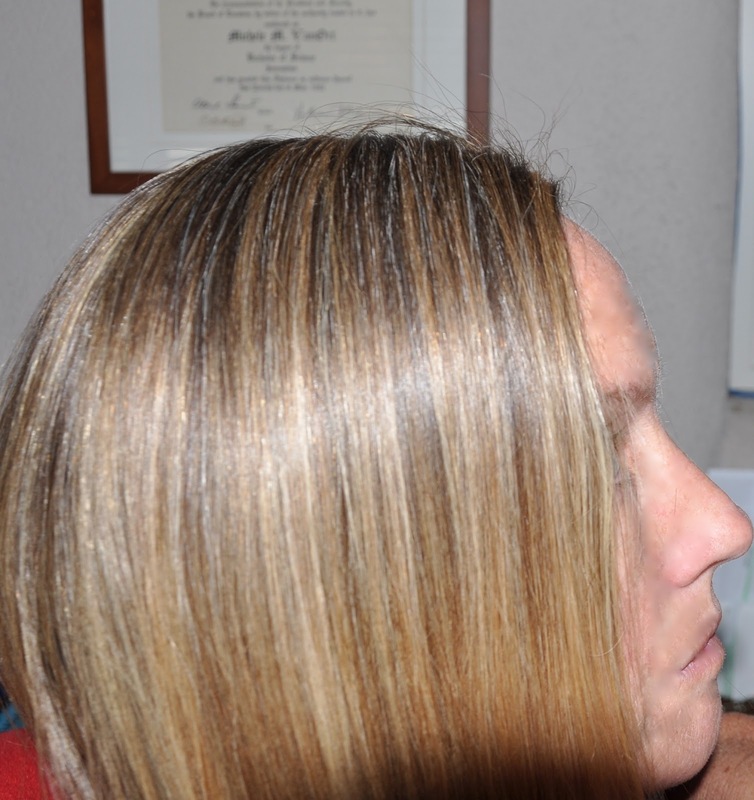 When I returned to Tucson, I learned that my hairdresser had moved to Jersey. So, ever since September, it’s been ponytail city for this soccer mom. Finally, it came time for me to do something about what ultimately was a lot of dry, damaged hair. 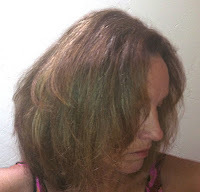 During a phone conversation with my friend, Diana, we got off the subject of our teenage daughters and on the subject of our middle-aged hair. 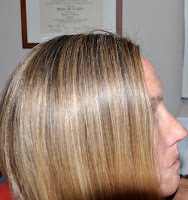 She recommended two stylists in Tucson, one for cut and one for color. I made appointments immediately, before I had the chance to chicken out. Because I just wasn’t happy with my long hair anymore, I felt my only option was to have it all cut off. Yikes. I still don’t know if it was the right decision. I’ve received a lot of comments—compliments even—but I think most people are simply reacting to the change and how short it is. My hair hasn’t been this short since I was three years old. “Who are you and what did you do with my wife?” asked my husband when I came home from getting it cut. I’ve been avoiding the mirror because every time I look into it, I don’t recognize that person either. She no longer looks like a girl—she looks like a mom.